OUR PRICE: $21.16 - Join Rewards Get $1 Dance Dollars On This Item! Pointe Comfort toe pads by Eurotard are constructed of orthotically tested visco elastic polymers. This pure, soft, supple product was designed for the serious dancer to make performing more enjoyable and possibly extend the life of your career. My daughter could not dance en pointe without the Eurotard pointe comfort toe pads. She's been using them for about two years now. 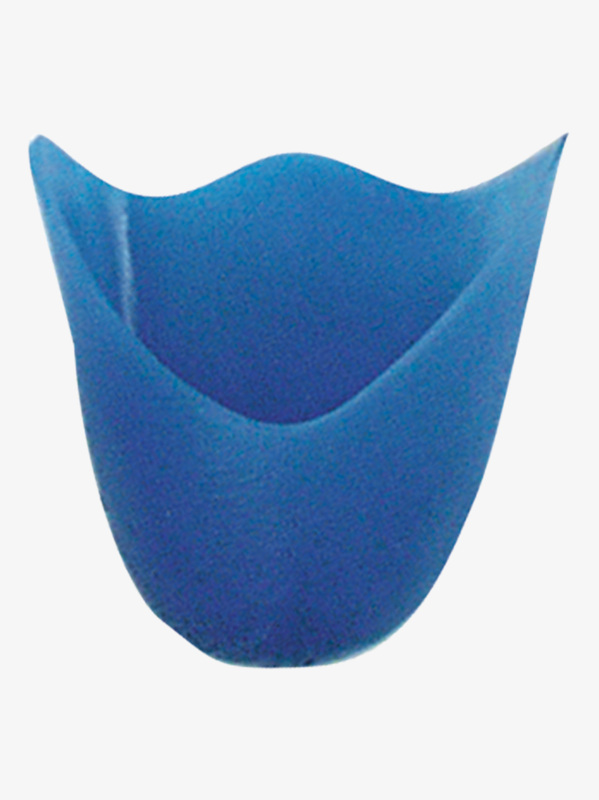 They effectively prevent blisters and reduce the pain without loosing the feel of the floor. My daughter's feet look great compared to the other girls' at the studio. They do tear before I'm ready to buy new ones but they are so effective, I almost don't mind. I'd say they last about one month of weekly use or 30 hours. I always use these but the last set..... well this last set I ordered they were WAY too small. They are so small that I gave them to my daughter and now I have to find a way to get another pair that fit. My daughter loves these. She is the only one in her class who isn't getting blisters. They are easy to clean. My daughters old pair lasted over a year. I would definitely recommend these. These toe pads did not fit my foot properly and would slide around in my shoe. I went through two pairs in less then a month, I would not recommend them for someone with a wider foot. I purchased these and a lighter weight version, and together they even out my feet that are 1/2+ size different from each other. A little thick, but it is a small price to pay to not have to get two sizes of pointe shoes. I wore these once, and one of them split in half. They were pretty uncomfortable, too. These are awful. I am returning them. I only took them out of the package and the are totally different shapes from one another. I should have stuck with Ouch pouch originals. I love these things!!! They last very long and don't wear out. The only bad thing that I would say is that you have to put baby powder on it and if you forget to it's not very comfortable to dance in.They also are very thick and protect my toes from blistering. The two times that I used them, it felt great. The problem was that the broke/ rip off and I can't use them anymore. Ok, these are the best you can get for your 1st year en pointe! People say to go light on your 1st year, but with light to padding, the dancer might develop a hate for wanting to dance en pointe because of all the pain that comes with wearing them. I think they are perfect for a 1st year, but after that, SLOWLY wean yourself off larger amounts of padding. Pro's use,like, nothing in their shoes. OUCH!!!!!! Totally get the pads, because your feet will totally love you for it! After 15 years of pointe experience and trying lambswool, foam pads, ouch pouch, ouch pouch gel, and thinner versions of the blue eurotard pad I will always use this product. What amazes me is the reviewers on here referring to this product as a "cheat" pad. It is not cheating to be health conscious and use products that can prolong your career and avoid injury. True they are not suitable for all, and trial and error is the only way to find the perfect product for each individual. I use these pads with Gaynor Minden sleek fit box 4 and they have served me well for 10 years. As with any dance item they do wear out, I use about 2 pairs a year at the professional level. I can feel the floor and I do sweat in them, sweating however is limited if you use your tights with the pads and use baby powder as instructed with the product. I look forward to many more years of dancing en pointe thanks to an orthotically tested product protecting my feet. I used these as my 2nd toe pads and I didn't really like them at all. You CANNOT feel the floor! Being able to feel the floor is very important because you need to know where you're stepping. Some people might think they would be good for beginners, because they are very comfortable, but beginners, most importantly out of everyone need to be able to feel the floor, they won't know if they're on their box if they can't. I would only recommend these to people that have narrow, bony feet, because they're really bulky, so they won't fit into the shoe of someone with wider feet. Also, if your feet are bony the hard sides of the pointe shoe might cause you pain, these pads come further down the side of the foot then most toe pads. Horrible at first but awesome after! When I first got these in the mail and tried them on with my pointe shoes (russian pointe entrada) I hated them! I could barely even get my toes inside the toe padds, and I have very narrow toes. So I was set on taking them back. But I decided to play around with them and see if I could make them work. What I ended up doing was turning them around so that the bottom of the pad (the longer part) is on the top of my foot and it covers my bones a lot better. I love them like this! They cover your toes and everything. So if your trying to find something that covers all your toes up to the foot and the sides. Turn these around and they are perfect!!! These were used with my first pair of pointe shoes, so I haven't used another brand of padding. Although they provide a lot of support, when I take them off to change into flat shoes or street shoes, my toes are flat and sting. At first I thought I had an ingrown toe nail, but then I realized the pads may not be right for everyone's individual foot. Thanks to this shoe I have started turns and balances much earlier than I expected. I give these pads (Eurotard Point Comfort) a four out of five! Ordering my 3rd pair now! Having been on pointe for 18 years, I have used lots of different toe pads and cushioning. When I first started on pointe all we had was lambs wool. Boy, I wish these were around back then. They are fabulous!. I go through about 1 pair of these every 1.5 - 2 years. Use baby powder with these ( on the insides and rub the outsides of them with it too). It will prolong their use. These get a 4 because I don't have many other pads to compare them to. That's because they are awesome! I am 6 feet tall and not stick-thin so this calls for a little more padding. I use these alone or with a little bit of wool. When I go up, they give just the right amount of cushion and support. Just make sure to wash them and keep them fresh with powder in between uses and they'll last! I had these for the first two years I danced pointe and while they were more comfortable than just lamb's wool for beginning to dance, they made my feet sweat like crazy. This caused my toes to shrivel (like when you've been in the bath too long) and pointe was even more uncomfortable! I'd only recommend them if you also tape your toes, or if you are not prone to sweaty feet. Although I love wearing gel pads, these were too thick and stiff for me. I prefer the light pink and purple toe pads which are thinner and mold to your feet. I love these toe pads! They are very comfy, when I go up en pointe, it doesn't even hurt and is actually comfortable! Honestly, I'd rather wear nothing (which I do now) and I'm only 12 years old. You may think these pads are comfy but barefoot feels so much better. I wore these my first 2 years on pointe. They are extremely comfortable but they take up so much room! Don't recommend these!!! These were not very good. I got these for my first pair of pointe shoes and I felt a lot of pain after being on them for just half an hour. The edges dug into the sides of my feet. Also, my feet started to burn when I took them off. They took up way too much space in my pointe shoes and made my shoes feel two sizes too small. I would only recommend these to people who have trouble getting over their box. For some reason they help you get over better. I personally don�t wear these anymore, (they sent me over the box). A tip: If you don�t wear your tights under these, your foot starts going numb. They seem to create suction when your foot sweats. But if you don�t wear tights over the top, they are really hard to get in your shoe. So cut the toes off an old pair of tights to put over the top of the pad. These are so awful. Get these if you don't want to feel the floor and have your feet hurting at the end of the day. Anyway, they are just too thick and do not last long at all. I wish I could give these a -100. These are good pads, but have 2 downsides. They rip easily and are very expensive. These are nice pads, but they are very bulky. A nice thing is they can help those students who can't get over their box fully, to actually get on it. 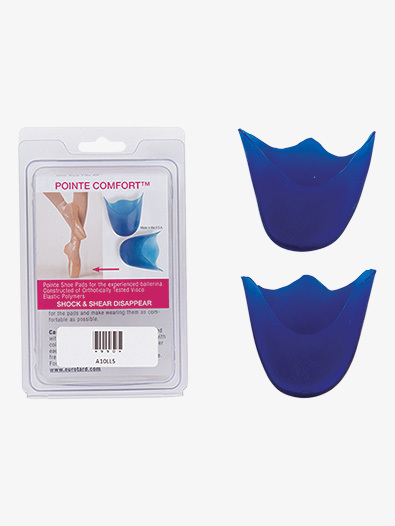 I love these pointe shoe pads! I have been using a pair of them for two years now, and have had no issues with blisters and bloody toes! I can feel the floor and I can feel hardly any shooting pain from my feet. As much as I love them I have been extremely discouraged from using them by many people (for pre-professional training), but these suit me quite well. I like the coverage and the placement of the padding, but I thought they were a little hard and really hurt my toenails. Most people I know really like them, but I need something softer because of my extra large big toe. Would these fit a size nine very wide foot? I wear Grishko 2007 6.5 XXXX and since these don't have sizes I'm worried if they will fit or not. I would also appreciate it if you could recommend other thick toe pads. I don't want to feel the floor but I really need something to relieve the pain and make it more comfortable to dance. ( I'm a beginner and have one toe much longer than the others). One pair of thicker toe pads are the 990. However, we always suggest obtaining a fitting with the toe pads you wish to wear as the degree of thickness in the toe pads may change the size you need in the shoes.